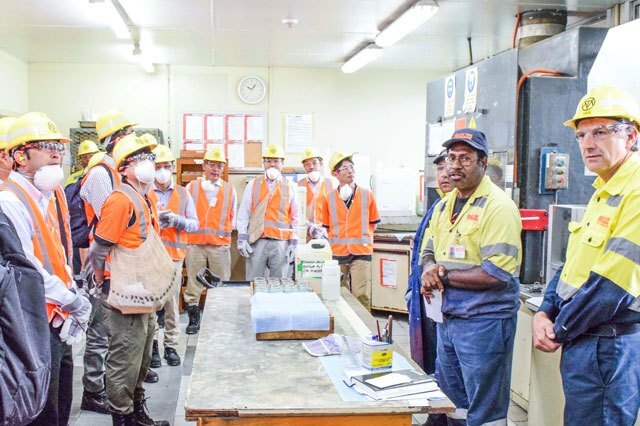 OK Tedi Mining Limited is celebrating its 30th consecutive year of shipment with its six Japanese smelter company customers. From 1987 to the end of last year, Ok Tedi sold 7.3 million tonnes of copper concentrate to the Japanese smelters. 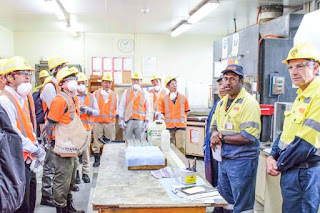 The company in a statement said to celebrate the milestone, representatives from Ok Tedi’s six Japanese smelters, two buyers’ agents, four Japanese trading companies and resource project investors, and two Japanese shipping companies visited its mine operations last week. Managing director and chief executive officer Peter Graham said it was an honour to meet their Japanese customer representatives and agents in PNG to celebrate the long-standing positive relationships. Ok Tedi again thanked the customers for their support, particularly through the difficult period in 2015/2016 when the operations were temporarily suspended because of the dry weather. The delegates visited OTML’s Kiunga Port and the mine and processing plant to understand the production and logistics processes. General manager of Sumitomo Metal Mining Co Ltd Toru Higo on behalf of the delegation thanked Ok Tedi for the invitation to come to the mine.